Proust Had His Madeleine, I Have…. I know I’ve been driving way too much when I start getting excited about mini-marts and gas stations. They give me hope that there is no back pain or road rage that high fructose corn syrup can’t cure. And whereas these days I could get myself all verklempt over a gourmet market or a farm stand, sometimes I can’t escape my past. I think it is a pavlovian thing: as a child I loved stopping by the mini mart because I knew I was in for a treat. A fountain drink (Dr. Pepper, lots of ice), a candy bar (Butterfinger). There was no way anything healthy could stand in my way! As a toddler in Texas, we’d stop at this place Bang’s where we’d get pork skins and Pabst Blue Ribbon (for the adults). I remember my first Ding-Dong. A friend of my mother’s from the horse barn took me to the Toot’n Totum where I discovered the joys of processed sugar. “Mama, these are good!” Like I’d made a discovery. I now have the sense to know she’d been keeping me from this stuff on purpose, bless her heart. The tween years in Oklahoma were punctuated with stops at Love’s on the turnpike between Oklahoma City and Tulsa. Love’s is the Wal-Mart Superstore of gas station/mini-marts. Seriously good stuff. The day I got my driver’s license my first stop was Circle K. I think the loot was pre-packaged processed doughnuts and a big gulp of Dr. Pepper. In college, late New Jersey nights and Sunday study days always included a stop at “The Wa” for footlong meatball sandwiches, syrupy “cappucinos” and, yes, Dr. Pepper. In a side note: my new northern friends preferred something called Swedish Fish. I actually though this was canned fish. I had noticed these east coasties liked something called “lox” which I’d never had so I thought they were just really into fish. I had a lot to learn. I feel like I’ve just revealed my dark past. 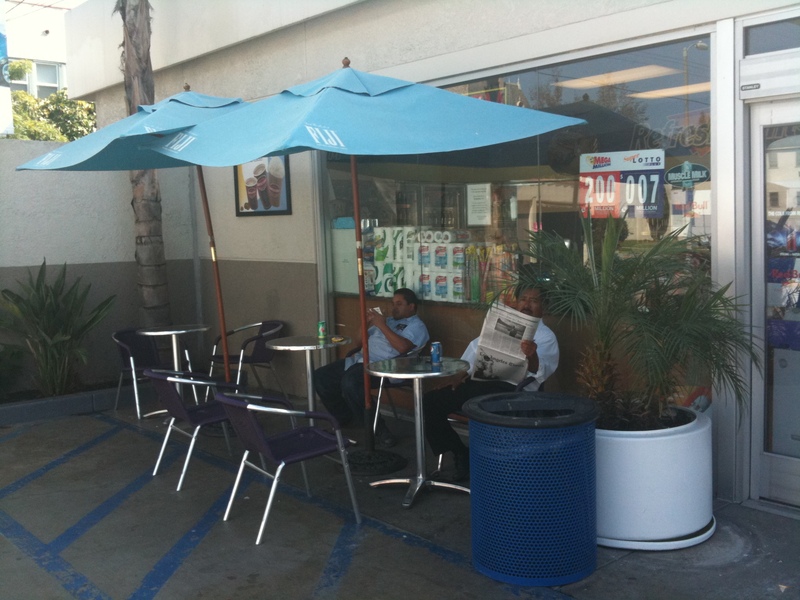 This gas station in Los Angeles is more Euro than anything I enjoyed in Texas, Oklahoma or New Jersey. I apologize for the photo – I was trying to be as surreptitious as possible. 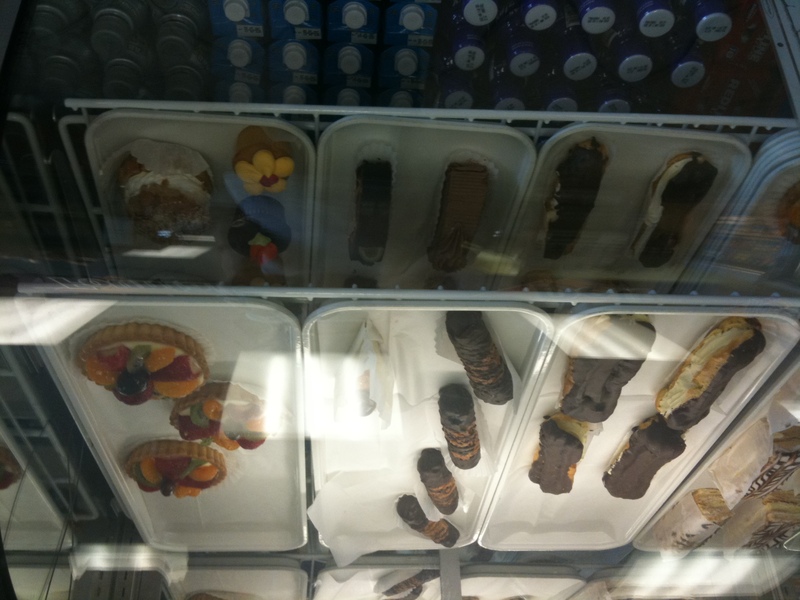 Note that these pastries are certified Kosher. I come by it honestly, as they say. Between my Dutch heritage and my midwestern roots it’s remarkable that I am able to spend even a dime without serious personal reflection. Though, I will say, some days these deeply embedded traits are easier to ignore than others. Some days, I’m the best of both worlds- looking to spend a little dough… but still get a deal. Apparently, today was one of those days. Trying to consolidate errands on the other end of town, I found myself in a very quirky (but large) thrift shop. I browsed the first half of the store fascinated and intrigued but not enough so to touch anything. Then I found the book isle. It was full of mid-ninties cookbooks. Again, not excited enough to touch anything until I saw a brand new copy of The Best Recipe, which, I consider to be one of the cornerstones of a new cook’s library. It was too appropriate to pass up, as my sister is just starting such a library. That was it. Once I touched something- that darn cookbook, all holds were off. I picked up five other cookbooks: something from Julia Child’s less popular years, a vegetarian guide and some other l less notable (hard to imagine, I know) titles. And that was only the book isle. As I struggled to carry my stack of to the checkout counter I was forced by an isle of serving bowls. It wasn’t so much the design that caught my eye, but the combination of decent modern shape and SCALE. These dishes were huge. They were like something I would normally purchase but about three times the size. I picked up one and lumbered to the cash stand. The eastern European staff was quick to point out the rest of the “set” that I hadn’t seen. I left with a trunk full of giant white porcelain dishes with no logos or signatures on the bottom. These dishes could hold enough food for the Thanksgiving and Christmas celebrations put together of any large midwestern Dutch family… but I don’t host any of those holidays… so, we’ll have to find another use. Be on the look out: it’s time to cook for a crowd.